I have a very exciting interview this week! I’m talking to two of the foreign translators of The Next Together! Franca and Hein are a married couple who work together to translate texts into German for publication. As they are currently working hard to turn all of my ‘that’s what she said’ jokes into something that makes sense auf deutsch – which is definitely a formidable task – I knew I had to ask them how they do it! Our job involves reading, translating and localising all sorts of texts – e.g. marketing letters, manuals, non-fiction and fiction – from a source language into a target language, in our case English and Dutch into our mother tongue German. (Never the other way round, because English and Dutch are not our native languages and we will not be able to translate a German text into a foreign language as good as a native speaker of English or Dutch). By the way: Our sincere apologies for all language mistakes and typos we are going to make while answering these questions. How did you get started in translation? Did you do any work experience? We started translating while still studying foreign languages at the University of Cologne: We did some test translations for a publishing house in Cologne. They were happy with our work and gave us our first contracts. Our translating work evolved from there and let to setting up our translation agency in 1988. How does working in a team with another translator affect your work? How do you approach translating things that are specific to a certain language – like idioms, jokes and metaphors? We intend to »rescue« as much as possible, but some jokes – especially puns and play on words – just don’t work in another language. So we try we build in these kind of specific aspects at other parts of the text, so that in the end the »sum« of idioms, jokes and metaphors is still the same. Would different translators approach translating a text in unique ways? How do you think that this changes the finished work? Give a text to 10 translators and you’ll get 10 different translations – especially since German lends itself to a quite flexible sentence construction. But they all strive to stay true to the original as much as possible! How has the experience been of translating The Next Together so far? How do you approach translating the epistolary elements of the book? The Next Together is quite demanding to translate, because you’ll find three (or four) different periods of time – 1745, 1854 and 2019/2039 – and they all require an appropriate style of speech. So we have to jump between an »old fashioned« way of talking and a very modern way of expressing oneself including internet slang and abbreviations. Is there anything you would like to see happen more in the future of the publishing industry? What are some of your favourite translated books? Are there any books you’d love to see translated which haven’t been? That is really hard to say. Of course all books we have translated during the last twenty odd years are our »babies« and we love them all. 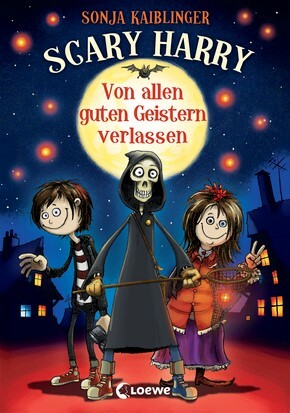 And we would love to see an English translation of a new series of children’s book by German writer Sonja Kaiblinger: »Scary Harry«. It is about a Grim Reaper (Harold who is fed up with his job) and his young friends Otto and Emily (and their pet bat named Vincent) solving all sorts of mysteries, e.g. who kidnapped the ghosts which were living in Otto’s house? The story and characters are really funny and cute and not at all creepy! What advice do you have for anyone looking to get into translation? Of course you should have a passion for foreign languages (and the culture of other countries and all other aspects of daily life there), but much more important is a love for your own mother tongue. A lot of people tend to forget: It is not enough to be rather good at a foreign language, you need to have a solid foundation in your own tongue in order to be able to translate all kind of texts and stay true to different styles. Has being involved in publishing changed how you read books for pleasure? Which language do you prefer to read in? Since we read a lot for our work, reading books for pleasure has changed for us: First of all we need to find time to squeeze in any reading that is not work related. And secondly it is hard not to think about the question whether the book might lend itself for translation. We are always on the lookout for new exciting manuscripts. There isn’t any language we prefer to read in. If we do speak the language we prefer to read the original. If we pick a book which has been written in a language we can not make sense of we take the German translation. For us it is the easiest way to get to know the content and to get an impression of the style of the author (hopefully). The German edition of The Next Together will be published by Loewe Verlag in 2016. 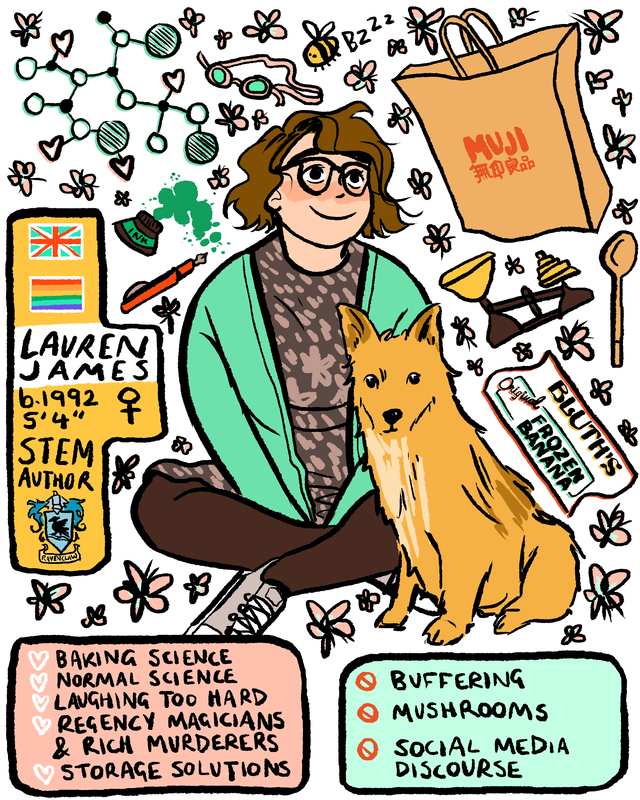 This entry was posted in behind the book on 01/10/2015 by Lauren James.